REFRIGERATOR WHIRLPOOL WRF540CWHVZ00 "Ms pic.The water softener stopped working a while back and this has been dripping since before Christmas. It looks like there is water build up in the filter head and we will also want a new water valve.Ordering filter head w10861009 and dual,water valve WPW10420083. Both are at Fargo.return Wednesday 3/6/19 from 8-2 preferred. 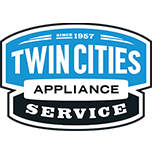 Customer works at 3:00.; ordrng 1 W10861009 (FILTER HEAD) and 1 WPW10420083 (DUAL WATER VALVE)"
REFRIGERATOR WHIRLPOOL WRF540CWHVZ00 Installed parts test ok no leaks. water pressure is low and flood safe line in on backward advised customer to reverse line and let know about pressure. REFRIGERATOR WHIRLPOOL GI7FVCXWY00 "For comparison, the new heater ordered if needed, has 29 ohms resistance.Steamed away the ice buildup and checked the ohms reading of the original heater element. It registers 28.1 ohms and is very good. The new one ordered can be returned for credit.Replaced the evaporator fan motor that comes with a defrost bimetal and freezer thermistor. Unitnis testing good and there was frost starting to accumulate before Technician left." REFRIGERATOR WHIRLPOOL GI7FVCXWY00 "Open bi-metal, ordered heater if needed. ; ordrng 1 WP12729123 (heater) and 1 WPW10276647 (motor-evap)"
RANGE MAYTAG MER8800FZ1 Installed element reached 350F correctly. DRYER MAYTAG MGDC215EW2 Installed new rear bulkhead in the unit. After installing tested and all checks ok. No abnormal noises and paint on the new bulkhead looks good.